Vice President Roy Eden called the meeting to order at 9:08 am. Seventeen members present. Program: Simpson Concrete Anchoring by Sam Green and Brian Foster. Invocation and Pledge of Allegiance: Alice Liles gave the invocation and led the membership in the Pledge of Allegiance. Treasurer’s report: The treasurer’s report for January was presented by Treasurer Tom Lilly. Allen Johnson made a motion to accept the treasurer’s report as submitted. The motion was seconded by Norm Smith; the motion was voted on by membership and was unanimously approved. Minutes: The minutes for the January meeting were presented by Dean Hall. A motion to approve the November 13, 2012 minutes was made by Allen Johnson and was seconded by Norm Smith. The motion was unanimously approved by the membership. Scholarship: (Alice Liles) Three applications have been received. The Golf Tournament netted $2368.91 and Tom Lilly reported that the year’s operating expenses included $2000 for scholarships, so after discussion, Dan Florian made a motion, John Jackson amended it and seconded by Dennis, and the members unanimously voted to have the Scholarship Committee decide whether to award two scholarships or three; and if three, how to allocate the available funds; and to announce the awards at the Picnic. Education/Training: (Alice Liles) The Chapter Site Seminar offered in conjunction with the State BOAF will be April 11 & 12, Thursday and Friday at the BOAF Office in Lake Mary. Please print out information and put it out on your front counter or wherever you can in your jurisdictions. Remember that these classes not only meet the requirements for any of your licensed building officials, plans examiners and inspectors but also give credits and good information to contractors, architects and engineers. This is a major fund raiser for our Chapter and is priced right for all who want to maintain their licenses while learning some extremely relevant information. Golf Tournament: (Dave Aldrich) The Golf tournament will be held on December 6, 2013 at Mt. Dora Country Club “BUT” is always looking for support from the local Chapter members. This event does a lot to help the chapter with Scholarship funds. As always please help enroll some golfers and sponsors. BCAIB Board: Randy Lamb attended one day of the February Building Commission meeting in Tampa – the Commission has concerns with validity of attendance for online classes. Alan Plante attended and reported that some online ICC classes have been submitted for approval. Legislative Update: (Allen Johnson) Legislative Day is March 20, 2013 to meet with legislators and lobbyists. Thirteen members are registered to attend. A van and gas paid for by the State BOAF will be available and a block of rooms is available. Unfinished Business: (Allen Johnson) Thirty three registrants have signed up online for 69 attendees for the picnic. Allen Johnson has a sign up page on the Chapter website for registration for the picnic and for Legislative Day. Super job Allen, the system is working great! www.cfboaf.net. John Jackson still has a Fire Inspector position open at $32,000 per year. Kindle Fire raffle tickets are one for $5 for or five for $20. The proceeds will be going to the Wounded Warriors program in support of soldiers who have been injured fighting for our country. Allen Plante moved to accept, Randy Lamb seconded, and the members voted unanimously to approve. New Business: Who’s Who: Seventy five copies were printed last year. After discussion, Roy Eden made the motion, John Jackson seconded, and members voted unanimously for Alice Liles to print as many as possible for the $600 in the budget. John O’Connor has volunteered to scan it, and Allen Johnson can then post it on the website. The annual picnic was a success, with plenty of food and drink for all. President Mike Rickabaugh presided over the opening of the picnic. Approximately 87 members, family members, and friends were in attendance. Invocation and Pledge of Allegiance: Alice Liles offered the invocation and led the membership in the Pledge of Allegiance to the Flag. Special thanks to Tom Allen for providing the canopy for the cooks, Allen Johnson for the Sound system, John O’Connor for the coolers, Dave Aldrich for the door prizes, and to the member who brought the barbeque grill. Nomination of new officers: A motion was made and unanimously passed to send a letter of recommendation from the Chapter in support of Linda Patrick for BAOF State President. Mike Rickabaugh presented the proposed Chapter slate of officers for 2013-2014. It was noted that Tom Lilly was unable to continue his service to the chapter. Tom has been a great contributor to the chapter and will be missed. A motion was made to accept, seconded, and the nominees were unanimously approved. Scholarship: Ralph Jones III presented the Ralph W. Jones JR. Memorial Scholarship. Ralph invited his mother to join in the presentation. Mrs. Jones shared her thoughts on the scholarship that was being offered in honor of her late husband. Ralph announced that two scholarships had been approved by the membership and both recipients were present at the picnic. Ralph introduced the recipients, Bailey Dunn and Shelby Ritten, who each were awarded $1000 scholarships by the Chapter. Chapter Awards: Plaques were given to all Chapter officers for recognition of their efforts during their year of service to the Chapter. President’s Award: Mike Rickabaugh presented Roy Eden with the President’s award for his dedicated work as Chapter Vice President. Mike also presented the first Member of the Year Award to Allen Johnson as recognition for his outstanding work creating and maintaining the Chapter web site. Presentation of President’s Pins: Following the oath of office, Phil McMahan presented Mike Rickabaugh with the ICC Past President’s pin and Roy Eden with the ICC President’s pin. Past President Mike Rickabaugh presented newly elected President Roy Eden with the Chapter President’s pin. President Roy Eden presented Mike Rickabaugh with the Chapter Past President’s pin and the Chapter Building Official of the Year Award. Kindle Fire Raffle for Wounded Warriors: Janice Lilly won the Kindle Fire, and the Chapter made $420.41 for the Wounded Warriors project. Clean Up: Thanks to everyone for the help in cleaning up after the picnic - it was greatly appreciated. Below Brian Meikle presented the April program. Guests: Brian Meikle, Director of Governmental Construction Services and Fred Schmalzer, P.E., VP Construction Services, Universal Engineering. Program: The Maturity Method, by Brian Meikle, Universal Engineering. : Alice Liles gave the invocation and led the membership in the Pledge of Allegiance. General discussion: President Roy Eden introduced the new Board, thanked Past President Mike Rickabaugh for giving him the President’s award, and announced his goal of increasing the Chapter membership. Treasurer’s report: The treasurer’s report for March was presented by Treasurer Dale Baker. Ralph Jones made a motion to accept the treasurer’s report as submitted. The motion was seconded by Randy Lamb; the motion was voted on by membership and was unanimously approved. The Women’s Club of Ocoee returned the $500.00 deposit for the Picnic to Mike Rickabaugh, who gave it to Roy Eden, who passed it on to Dale Baker. Plaques for the annual picnic were $78.00 over the budgeted amount, so former Treasurer Tom Lily made up the difference personally. Alice Liles made a motion to reimburse Tom Lily $78.00, Randy Lamb seconded, and the membership unanimously approved. The annual report will be presented at the next Chapter meeting. Minutes: The minutes for the February and March meeting were presented by Cindy Nielsen. A motion to approve the February 13, 2013 minutes was made by Alan Plante and seconded by Randy Lamb. A motion to approve the March 9, 2013 minutes was made by Alan Plante and seconded by Ralph Jones. Both motions were unanimously approved by the membership. Scholarship: (Ralph Jones) Bailey Dunn and Shelby Ritten were the recipients of the Ralph Jones, Jr. Memorial Scholarship, awarded at the annual picnic in March. The Bill Tange/Bill Neese Scholarship is a separate one, self-funded, administered, and awarded through ICC, although it shares billing at the Golf Tournament. motion that the Chapter allocate $100.00 per day for snacks, Alan Plante seconded it, and the membership unanimously approved. BOAF State Director: (Ralph Jones.) The next Board meeting will be Thursday, May 23, 2013 after the BOAF State Conference in Daytona. The BOAF/FHBA Joint Training provides 7 hours of free CEU training. See details under "On-line Registrations" on the BOAF website. Marketing/Public Relations: Allen Johnson projected that the website would be updated on April 16. Region IX: (Alan Plante) was not able to attend the last meeting because of Legislative Day, but will report the minutes at our next meeting in June. He will also be going to Mississippi in June for the next Region IX meeting. ICC: Roy Eden notified the members of an ICC webcast on how to obtain funds and support from HUD block grants for local code programs at 2pm April 10. Roy has hard copies for anyone who missed the webcast. Mike Rickabaugh turned over the ICC certificate for one free training day (to be used before the end of the year) and one free national conference registration (in addition to the one given to the Chapter president),which were given by ICC to the Chapter as part of the Chapter of the Year Award. Alice Liles said there needed to be discussion on who should receive the extra conference registration and Roy Eden responded that it would be done at the next Board meeting. Legislative Update:　John O’Connor was not here to report as he was attending a Board of Engineers meeting. Legislative Day was March 20, 2013 to meet with legislators and lobbyists. Nineteen members attended, with statewide representation. Dean Hall reported they met with 9 Representatives, 4 Senators, and 2 Senators’ aides, and our lobbyist, David Ramba. Dean Hall and Alan Plante met with Sen. Darren Soto and Sen. Linda Stewart. Highlights are viewable on the website. Nominating Committee: Mike Rickabaugh made a motion, seconded by Allen Johnson, that the Chapter send a letter of support for Linda Patrick for State BOAF President to the Gainesville Building Department, with a copy to the State BOAF Nominating Committee. President Roy Eden offered to send the letter.Alice Liles made a motion, which Allen Johnson seconded, that the picnic minutes be amended to note that the Chapter voted on that issue also. Both motions were approved unanimously by the membership. Ralph Jones noted that all Chapter awards for Building Official of the Year (Mike Rickabaugh) and Member of the Year (Allen Johnson) should be administratively forwarded to the State, and President Roy Eden said he would take care of it. New Business: State BOAF Conference continuing education classes will be posted as soon as they are approved by DBPR. President Roy Eden called the meeting to order at 9:15 am. Twenty two members present. Guests: Heinz Rosen, P.E., Director of Engineering, and Mike Kraftso, Managing Partner, PDCS. Program: Certifications and Nationally Recognized Testing Labs. Minutes: The minutes for the April 10, 2013 meeting were presented by Cindy Nielsen. A motion to approve the minutes was made by Joe Crum and seconded by Alan Plante. The motion was unanimously approved by the membership. Treasurer’s report: The treasurer’s report for April was presented by Treasurer Dale Baker. Dan Florian made a motion to accept the treasurer’s report as submitted. The motion was seconded by Joe Crum; the motion was voted on by membership and was unanimously approved. President’ Remarks: President Roy Eden asked for copies of Building Safety Month proclamations and photos of related activities to be sent to Joanne Gamble at the BOAF office. Alice Liles asked for a reminder to be sent to the members and Allen Johnson said he would develop a page on the website. Alan Plante reported that Orange County is having personnel at a Lowes or Home Depot each Saturday in May. Scholarship: (Ralph Jones) Scholarship checks are usually presented at the picnic, but were sent later this year; however, they have all been delivered. This year’s application will be available on the website in the near future. Education/Training: (Alice Liles and Dean Hall). Alice Liles reported that the site seminar in late April at Lake Mary, led by John England, was well attended by 53 the first day and 52 the second. We need to select and sign up for the two free ICC training days we have and attempt to schedule them in August. Dean Hall and Alice Liles will contact Janice Moyer at ICC regarding this training. Golf Tournament: Tom Allen reported that the BOAF golf tournament was cancelled due to not enough participation, but the motorcycle ride will take place on Sunday morning. BOAF State Director: (Ralph Jones.) The next Board meeting will be Thursday, May 23, 2013 after the BOAF State Conference in Daytona. The BOAF/FHBA Joint Training provides 7 hours of free CEU training. See details under “On-line Registrations” on the BOAF website. The BOAF State Conference is starting on May 18 at Daytona Beach. Don Vancini had a back injury, so the chapter needs as much help as possible to load vehicles Friday at Lake Mary and unload and fill welcome bags in Daytona on Saturday. Tom Allen reported that the hospitality suite will be operating on donations and reduced scope and budget. John O’Connor will be giving two courses on electronic plan review and digital signatures on Monday and Tuesday at the conference. Also, representatives from CILB and the Florida Building Commission will be at the conference for discussions with the attendees. BOAF has two more years of contracts with hotels for the conference, and then the venues will be reevaluated. John O’Connor reported that the BOAF online courses will offer the 5 required CEU classes on Laws and Rules, Ethics, and Accessibility online, but the dates will not be available until after the Board meeting on May 23. Tom Allen suggested that the Education Committee investigate offering a class on the International Property Maintenance Code and marketing to Code Enforcement departments. BCAIB Board: Bob McCormack reported that the Department only funded one person to attend the BOAF Conference, so the Board will not participate. Several other members of the Board are attending and volunteered to participate in the panel, but the legality of that group representing the Board but not sent by the Board arose, so no panel discussion will take place. Also, the opinion of the Board’s legal counsel is that practicing architects and engineers in the employ of local governments must be certified under Chapter 468; however, complaints would be handled by the Board of Architects or the Board of Engineers. Alan Plante clarified that this did not apply to permits by affidavit. Legislative Update: John O’Connor reported that no bills affecting construction passed except for the alarm bill. All building departments will be required to sell labels valid for a year to alarm companies, who will redeem when they identify where it is to be used. The specifics of this program were not outlined in the bill, but a sliding fee schedule was set. BOAF needs to be proactive about keeping processes and fees uniform and reasonable so this practice does not spread to more involved construction. John O’Connor sent the text of all the engrossed bills to be signed by the governor to Allen Johnson for posting on the website. Florida Building Commission: No report. Region IX: Alan Plante will be going to Mississippi in June for the next Region IX meeting. Unfinished Business: Letters of support for Linda Patrick for BOAF President and nominations for Building Official of the Year and Member of the Year were sent to the State BOAF office. New Business: Ralph Jones made a motion asking for $500 for out of pocket and lodging expenses for the Chapter Director for the State BOAF and for the Region IX Director for Chapter authorized travel, as in previous budgets. Tom Allen seconded the motion, and after discussion, the membership unanimously approved it. Dean Hall made a motion, which was amended by Tom Allen and Ralph Jones, to allocate $250 to the hospitality suite, $250 to the companion program, and $500 to the scholarship fund for the State Conference. After discussion, the motion was unanimously approved. President Roy Eden called the meeting to order at 9:20 am. Twenty members present. President Roy Eden called the business meeting to order at 11:10 am. Thirteen members present. Minutes: Accepting the May 8, 2013 meeting minutes was postponed due to lack of a quorum. Treasurer’s report: Accepting the treasurer’s report for May was postponed due to lack of a quorum. President’ Remarks: President Roy Eden noted that the annual State Conference was a great success with185 in attendance and 125 at the banquet. Gary Brevoort – Immediate Past President. The board of directors voted unanimously to have Gary continue as Acting Executive Director through December 31, 2013. Allen Johnson – Member of the Year – congratulations and well deserved, Allen! President Roy Eden reported that the Chapter received a letter of thanks from the Wounded Warriors for the $420.41 gift raised from the raffle of the Kindle Fire at the picnic. President Roy Eden also emphasized the importance of encouraging membership and attendance at the Chapter meetings and asked those in attendance to be thinking of corporate sponsors for the Golf Tournament. Education/Training: (Alice Liles and Dean Hall). We need to select and sign up for the two free ICC training days we have and attempt to schedule them this fall. Dean Hall and Alice Liles will contact Janice Moyer at ICC regarding this training. BOAF State Director: (Ralph Jones.) The Board met Thursday, May 23, 2013 after the BOAF State Conference in Daytona. Now that planning for the State Conference is past, the ICC partnerships for online training will resume development. President Roy Eden called the meeting to order at 9:20 am. Seventeen members and eighteen guests present. Treasurer’s report: Joe Crum made a motion to accept the treasurer’s reports for May and June and the annual budget, which Alan Plante seconded, and the membership unanimously approved. President Roy Eden called the business meeting back to order at 11:45 am. Fifteen members present. President’ Remarks: President Roy Eden announced there were free tickets available for the Southeastern Wall and Ceiling Trade Show, July 13 and 14. Also, July 14 is the deadline for applications for scholarships to attend the 2013 ICC Conference. Region IX: Alan Plante attended the Region IX meeting last month in Gulfport Mississippi and requested support for Florida’s Welcoming Event at the 2013 ICC Conference in Atlantic City this fall, which promotes the 2014 ICC Conference in Ft. Lauderdale. Alabama, Louisiana, and Mississippi all voted to provide several hundred dollars of support as Region IX, and also ask their states for state support. Golf Tournament: Dave Aldrich is working on the Golf Tournament flyer and asked all the members to start contacting prospective sponsors. Allen Johnson will post the flyer, which will contain the option of online payments, on our website. The membership of the Central Florida chapter stands at about 68 (65 members and 3 associate members) John Jackson will be helping us with membership and has been selected to help the state BOAF with membership as well. Some great great training opportunities and other events are coming soon! 2013 Site Seminar 14 hours including the 5 core hours required for BCAIB license (Ethics, Laws and Rules, Accessibility) October 31st and November 1st 2013 at BOAF training facility Follow link: REGISTER NOW﻿ This link will take you to the state BOAF Site seminar webpage. Registration button is at the bottom of the page. Registration is through CVENT. Online registration for this training event will be available soon. BOAF State Director: Ralph Jones. The State BOAF Board of Directors’ meeting was August 9-11, 2013. The State BOAF is in the black for the first time in four years, with an approximate balance of $63,000.00. Gary Brevoort has been volunteering as the Executive Director for the past year, and the Board of Directors voted to compensate him for serving as through next year. The next Board of Directors’ meeting will be November 8-9 and notification is posted on the State website. Joe Crum encouraged all members to attend. BOAF State Membership Services Committee: Ralph Jones. A motion was made to develop a pamphlet for new members detailing the benefits of membership and how to access them. John Jackson and Randy Lamb will be working on the pamphlet. Ralph Jones commended the Chapter for the individual’s involvement, and encouraged them to continue. BOAF State Code Development Committee: Ralph Jones. The Glitch Cycle meeting at the Florida level will be August 22, 2013 in Ft. Lauderdale. The Florida Building Commission had proposed some changes which did not qualify as glitch, but the Code Development Committee was successful at removing most of them from the agenda. BOAF State Professional Development Committee: A matrix was submitted for the classes for the next annual state conference in 2014. Useful feedback was received from this year’s conference and the Committee is working with vendors on proposed classes. For the April and November site seminars, there was discussion of providing classes on significant changes to the next code, instead of the 5 hours of mandatory training and contractor training, since the next code edition will be implemented at some time (yet to be announced) next year. Each Chapter has the option of providing the 5 hours of mandatory training if they wish, but as of August 14, the 5 mandatory hours are available online, plus nine other hours of continuing education. The classes cost $35.00 each and details are available on the BOAF State and Chapter websites. The State BOAF in conjunction with the HBA, wants to sponsor a seminar on Flood Hazard Avoidance and Existing Buildings, and is looking for locations and dates between November 3013 and February 2014. Ralph Jones will bring more information for this training and income opportunity next month. Online Training Committee: Alan Plante, Chairman, commended Gary Brevoort for assisting in developing the classes and making them available online. ICC will not receive any income from the online continuing education until the Chapters’ investments have been repaid. The Committee is projecting adding 5 additional new hours of online continuing education classes per year and is negotiating with vendors for free training. Legislative Update: Alan Plante reported that the Legislative Committee is developing guidelines for low voltage security permitting or registration, which becomes effective in October. Each jurisdiction will have to decide whether to do permitting or registration, and whether they will do inspections, especially if the systems are wireless. This legislation does not apply to fire alarm systems. Golf Tournament: Dave Aldrich has developed the Golf Tournament flyer and asked all the members to start send prospective sponsor contact information to his email at dave.aldrich@sanflordfl.gov. Dave is willing to talk to prospects if your jurisdictions has rules about soliciting applicants and contractors. Allen Johnson has posted the flyer on our website, which contains the option of online payments on Ebrite. October 31-November 1: BOAF Site Seminar, which provides the 14 hours (7 hours per day) needed for Florida licenses. 14 people are signed up and we can accommodate 52. November 14-15: ICC training classes on significant changes to the 2012 ICC, which will is the basis for the 2013 FBC, will provide 12 hours (6 hours per day). November 14 will be on the Mechanical, Plumbing, and Fuel Gas Codes; November 15 classes will be 3 hours on the Building Code and 3 hours on the Existing Building Code. Cost for the ICC seminar is $75 per day for members, and $95 per day for non members. Each class has a workbook, which costs an additional $5 per book. We have only ordered 30 books, which will be given to the first 30 to register online. New Business: John Jordan would like Chapter support for State BOAF Secretary. John attended Auburn University, has been a Building Official for over 20 years and the Building Official at UCF for the past 11 years, is a Master Code Professional, and has a General Contractor’s license. Alice Liles made a motion to support John, Dave Aldrich seconded the motion, and the members unanimously approved it. Roy Eden as President has one free registration to the ICC National Conference and the Chapter has an additional one because of being awarded Chapter of the Year last year. Since Vice President Dean Hall and none of the other officers will be unable to attend the Conference, Alan Plante made a motion that Mike Rickabaugh, Past President, receive the second free registration. John Jackson seconded the motion and the membership voted unanimously in favor. President Roy Eden called the meeting to order at 9:07 am. Twenty members present. Invocation and Pledge of Allegiance: Dale Baker gave the invocation and led the membership in the Pledge of Allegiance. President Roy Eden called the business meeting to order at 10:25 am. Twenty members present. Recording Secretary Cindy Nielsen not present – Dale Baker took notes for the meeting. Minutes: Accepting the August 2013 meeting minutes. Dan Florian made a motion to accept the August minutes which Allen Johnson seconded. The membership unanimously approved. Treasurer’s report: Accepting the August 2013 treasurer’s report. Ralph Jones made a motion to accept the August treasurer’s report which Alan Plante seconded. The membership unanimously approved. Education/Training: The State BOAF Site Seminar is scheduled Oct 31 & Nov 1 and contains all 14 CEU hours and required courses to renew our state licenses. At the time of the meeting, 14-15 people were enrolled and there is a capacity of 52. Dean Hall and Alice Liles also reported our Chapter of BOAF and ICC is sponsoring a Site Seminar Nov 14th & 15th at the Lake Mary headquarters featuring two days of classes on the 2012 ICC. The first day will be 6 hours of classes on Mechanical, Plumbing, and Fuel Gas. The second day will be on the Building Code and the Existing Building Code. The cost is $75 per day for members and $95 per day for non members; each class has a workbook which costs $5 per book. Taking these classes will not only get you certified for renewal, they also help support our Chapter and the State BOAF and cover significant changes to the code which is the basis for the 2014 FBC. Registration & information are on our chapter Web site www.cfboaf.net . Dean Hall reported the Executive Board determined the Central Florida Chapter should not provide the required five core course hours during our monthly Chapter meetings as this would remove funding support for the State and local Chapters of BOAF new online courses, which cost $35 per class. We will continue to encourage training from suppliers and construction related industry private companies at Chapter meetings. Different methods of reaching out to the construction industry were discussed, including sending email blasts to individuals, to industry organizations, and continuing to refer people to our website. Roy Eden is planning to have the board send out flyers for the individual events. Golf Tournament: Dave Aldrich reported we need to encourage participation in the upcoming golf tournament. Allen Johnson reported no one has registered as of this meeting using the application on our website. Dean, Roy and Allen will contact HBA, IAEI and other local associations to encourage participation. BOAF State Director/ Nominating Committee: Ralph Jones reported he will get a list of the slates of candidates for officers for the State BOAF and ICC. John Jackson is running for office; the title is being adjusted and will be announced. Membership Report: John Jackson gave an update about creating new membership packets for recruiting new members. Also, they are putting a flyer together of the benefits of membership, emphasizing the networking opportunities. Alice Liles recommended sending additional email reminders for upcoming training. She volunteered to obtain the email addresses of those who attend training and have the secretary follow up with them to make sure they are aware of how to become members. Mike Rickabaugh suggested more additional email reminders for chapter meetings. Region IX: Alan Plante reported he will not be seeking another term for Director for ICC Region IX and will provide a nomination at the next meeting. New Business: Joe Crum is now with the City of Winter Springs and has an opening for a building inspector. Roy Eden reported that the City of Orlando is looking for building, electrical, and fire inspectors. Alan Plante heard from the Florida Building Commission that the 2014 FBC will become effective in December 2014. President Roy Eden called the business meeting to order at 10:30 am. Eighteen members and one visitor present. Scholarship: Ralph Jones reported that the scholarship application is on the website and also a short bio of Mr. Tange, Mr. Neese, and Mr. Ralph Jones, Sr. The application is due January 2014 and will be awarded at the annual picnic next year. Education/Training: Alice Liles reported on the Chapter of BOAF and ICC sponsored seminars Nov 14th & 15th at the Lake Mary headquarters featuring two days of classes on the 2012 ICC. The first day will be 6 hours on the 2012 ICC Special Use and Occupancy. The second day will be on the 2012 ICC Building Code and the Existing Building Code. Due work volumes, enrollment was limited so the cost was reduced to $50 per day; each class has a workbook which costs $5 per book. Golf Tournament: Dave Aldrich reported that 10 teams and 13 hole sponsors were signed up to date. The cost is $46.50 per person. BOAF State Director/ Nominating Committee: Ralph Jones reported that the last meeting of the State Board of Directors was held November 8 and 9. The Membership Committee was requested to come up with a trifold brochure on the benefits of membership. John Jackson and the committee presented a draft, which should be approved at the next Board meeting in February. BOAF memberships are due the beginning of the year and members were reminded to begin the necessary processes with their finance departments. A contract has been signed with John England to provide site seminars in 2014. The formal interpretation process is subject to the Sunshine Laws and has become cost prohibitive to maintain, so Joe Crum has agreed to head the informal interpretation process. He requested volunteers in Building, Mechanical, Electrical, and Plumbing disciplines to assist him with that effort, which will mostly be by email. Members will need to commit to returning responses in 15 days. The Nominating Committee is supporting Bob Boyer for a position on the State Executive Board. The ICC Annual Conference will be coming to Ft. Lauderdale for in September 28 - October 1, 2014. Joe Crum mentioned that the Chapter needs to start planning to support the Conference financially and with volunteers for the various set up tasks. The State BOAF website has a Host Chapter Guide, which we need to look at. We have a budget line item for the State Conference in May, but will need to vote on an amount to contribute to the national conference in the fall. BOAF may be offering to buy back shares in the online training program since the payback appears to be some time in the future and the online training programs need to be updated. Alan Plante will report on the status of the online training at the next meeting. At some point in the future, the Chapter will need to decide whether to accept the buyback offer, keep the status quo, or make an additional investment. The State BOAF will be advertising for part a time Director. Gary Brevoort will stay until the position has been filled and he has had the opportunity to train the individual. BCAIB Board: Bob McCormick reported that applications for licenses are growing and the quality of the applicants is improving. An ad hoc committee has been created to review code and statute questions and recommend changes as necessary. The Board is considering increasing the years of experience required for a Building Code Administrator to be on par with inspectors and plans examiners. Old Business: President Roy Eden is still working on the Lunch and Learn seminar in January for inspectors and plans examiners, who normally cannot attend our 9am business meetings. The topics would tentatively be Flood Plains and Energy Efficiency; the location being considered is in Casselberry at 436 and 17-92. Joe Crum has sent out a salary survey for Building Division personnel and would appreciate feedback. We have a letter of support for John Jackson for State BOAF Secretary/Treasurer; John expressed his thanks for the support and said that if anyone has any questions to please contact him. John Jackson made a motion that we look into pricing more Chapter pins in anticipation of the State Conference ICC Annual Conference. Alice Liles seconded the motion and the members unanimously approved. John Jackson will contact Frank Carter about the details. Invocation and Pledge of Allegiance: Vice President Dean Hall called the meeting to order at 9:10 am and Alice Liles gave the invocation and led the membership in the Pledge of Allegiance. Twenty four members present. Vice President Dean Hall called the business meeting to order at 11:20 am and announced the IAEI Annual Florida Chapter Conference May 7-10 at The Shores Resort & Spa – Daytona Beach Fl. Seventeen members present. Treasurer’s report: Dale Baker presented the November 2013 treasurer’s report. Our Chapter received $3883.50 from the last BOAF Site Seminar, which will show on next month’s statement. Also, check #1572 was not used and will be voided. Joe Crum made a motion to accept the treasurer’s report, which John Jackson seconded. The membership unanimously approved. Minutes: Ralph Jones made a motion to accept the November 2013 minutes, with two revisions (to strike a golf fee and to correct the support for Bob Boyer to the ICC Executive Board) which Randy Lamb seconded. The membership unanimously approved. Education/Training: Alice Liles has 15 sets of work books left from the Chapter of BOAF and ICC sponsored seminars on the 2012 ICC Special Use and Occupancy, the 2012 ICC Building Code, and the 2012 Existing Building Code. Joe Crum made a motion to sell the books for $15 for a set of three, Dave Aldrich seconded the motion and the membership unanimously approved. Golf Tournament: Dave Aldrich reported the tournament cleared over $6000 this year, of which $2000 came directly from sponsors. GCC was the largest donor, and Simpson, who buys the balls, was the second largest. Balfour Beatty and PDCS made generous donations, and Tom Allen contributed $200 for the breakfast. Dave said the size of this tournament, 64 golfers, was ideal for the course. Main Street won 1st place, Joe Crum’s team placed 2nd, and Shutts and Bowen came in 3rd. Many thanks to Dave, Robin Cardoza from Winter Springs, Brook Miller from Lake County, and all who made the tournament such a great success! Nominating Committee for Chapter Executive Board: Last year the Nominating Committee consisted of Allen Johnson, Dan Florian, and Joe Crum. After discussion, a consensus was reached that the bylaws state the current President appoints the Committee, which must consist of Past Presidents. Dean Hall asked Allen Johnson, Joe Crum, and Ralph Jones to be on the current Committee, Randy Lamb and John Jackson seconded the motion, and the membership unanimously approved. Old Business: BOAF State and Central Florida Chapter membership dues should be paid by December 31, 2013. Application forms are available on the website. Honorary members must fill out the applications, even though their dues are waived. In case of problems with the website, JoAnne or Celeste can assist. Chapter bylaws are also on the website. The Board recommended ordering new Chapter pins, since the ICC Annual Conference will be coming to Ft. Lauderdale for in September 28 - October 1, 2014 and most of the pin trading occurs at that event. To keep costs down, the Board also recommended going to a one piece pin with no mention of conferences or dates so we could use it for a number of years. After discussion, John Jackson made a motion for Frank Carter to price a two inch one piece pin with the current design. Joe Crum seconded the motion and the membership unanimously approved. New Business: John Jackson made a motion, which Randy Lamb seconded, and the membership unanimously approved for Dean Hall to check with the Ocoee Women’s Club for the availability of the hall for the Annual Picnic on either March 22 or March 29. Alice Liles will be taking pictures for Who’s Who next month. Budget and format will be discussed next month. President Roy Eden called the meeting to order at 9:10 am. Alice Liles gave the invocation and led the membership in the Pledge of Allegiance. Twenty four attendees present. President Roy Eden called the business meeting to order at 10:40 am and announced the IAEI Annual Florida Chapter Conference May 7-10 at The Shores Resort & Spa – Daytona Beach Fl. Twenty one members present. Treasurer’s report: Dale Baker presented the December 2013 treasurer’s report. Joe Crum made a motion to accept the treasurer’s report, which Dave Aldrich seconded. The membership unanimously approved. Minutes: After discussion recommending also recognizing Robin Cardoza from Winter Springs and Brook Miller from Lake County for their assistance with the Golf Tournament, Joe Crum made a motion to accept the December 2013 minutes. Randy Lamb seconded and the membership unanimously approved. Scholarship: Ralph Jones reported that the scholarship application due date was January 10. He will be distributing the applications to the Committee next week for recommendations at the February Chapter meeting. Education/Training: Alice Liles has sets of work books left from the Chapter of BOAF and ICC sponsored seminars on the 2012 ICC Special Use and Occupancy, the 2012 ICC Building Code, and the 2012 Existing Building Code for $15 for a set of three. Allen Johnson will investigate setting up online payment to the Chapter. Alice also reported that the State BOAF is not planning on presenting all the classes required for BCAIB license renewal at the Site Seminars this year since they are available online; however, the CF BOAF can vote to request those classes if we so choose. Alice and Frank Carter will present options at the February Chapter meeting. Golf Tournament: Dave Aldrich reported that the 2014 Golf Tournament will be December 5 at the Mount Dora Country Club. Ralph Jones thanked Dave for his continuing work on this, and the members unanimously agreed. John Jackson also thanked the membership for his son’s scholarship. Legislative Day is Wednesday March 19th, 2014 with hotel accommodations at the Candlewood Suites in Tallahassee - see State BOAF website for details. BOAF Board of Directors: Ralph Jones reported that he would be attending the BOAF Board of Directors meeting January 10 and noted since Gary Brevoort is leaving his post as Director, a new one would be selected at the Board meeting. The membership were reminded of the 2014 BOAF 62nd Annual Educational Conference & Trade Expo at the Clearwater Hilton Beach Resort June 7-12. Details are on the State BOAF website. Old Business: Frank Carter reported we could order 300 Chapter pins for $2-$6 per pin in anticipation of the ICC Annual Conference in Ft. Lauderdale September 28 - October 1, 2014. After discussion, John Jackson made a motion for Frank Carter to design a smaller one piece pin with a target maximum cost of $3 each. Alan Plante seconded the motion and the membership unanimously approved. New Business: Dean Hall reported that the Ocoee Women’s Club was available for the Annual Picnic on either March 22 or March 29. Alan Plante made a motion to schedule the Picnic March 29, which Dan Florian seconded and the membership unanimously approved. Joe Crum made a motion that we allot up to $1200 for Picnic door prizes and gifts. John Jackson seconded the motion and the membership unanimously approved. Joe Crum made a motion that we support John Jackson’s campaign for the open seat on the BOAF State Board with a contribution of $250, which Dan Florian seconded and the membership unanimously approved. Dean Hall made a motion that the Chapter reimburse Arlene Stewart up to $100 for travel expenses to come present a 2 credit hour course on the Energy Code to the membership to start at 8:30 am. Ralph Jones seconded the motion and the membership unanimously approved. Invocation and Pledge of Allegiance: President Roy Eden called the meeting to order at 8:35 am. Alice Liles gave the invocation and led the membership in the Pledge of Allegiance. Thirty attendees present. Guest Speakers: Arlene Z. Stewart, AZS Consulting, Inc.
President Roy Eden called the business meeting to order at 10:40 am. Twenty two members present. Treasurer’s report: Dale Baker presented the January 2014 Treasurer’s report. Ralph Jones made a motion to accept the treasurer’s report, which John Jackson seconded. The membership unanimously approved. Minutes: Dan Florian made a motion to accept the January 2014 Minutes. John Jackson seconded and the membership unanimously approved. Scholarship: Ralph Jones reported that two scholarship applications were received. He will be distributing the applications to the Committee next week for recommendations at the March Chapter meeting. Education/Training: The BOAF site seminars are posted on the State website – the CF BOAF seminar at Lake Mary is April 10-11. Alice Liles has sets of work books left from the Chapter of BOAF and ICC sponsored seminars on the 2012 ICC Special Use and Occupancy, the 2012 ICC Building Code, and the 2012 Existing Building Code for $15 for a set of three. (Allen Johnson has set up online payment to the Chapter on the website as of February 24). After discussion during which it was determined the Bylaws allow the Chapter to accept nominations and vote on them at the same meeting, Alan Plante made a motion to accept the nominations of the Nominating Committee, George Wiggins seconded, and the motion carried. Dan Florian made a motion to vote on the nominations, Joe Crum seconded, and the motion carried. President Roy Eden then took nominations from the floor for any positions. Ralph Jones nominated Don Fuchs for local Chapter Director, Don Fuchs accepted, and Dale Baker seconded. Since there were then two candidates for Chapter Director, Don Fuchs and Kris Stenger, the Chapter voted separately on that position, with Kris Stenger being elected. John O’Connor made a motion that the rest of the slate of officers running unopposed be elected by acclamation, John Jackson seconded, and the motion carried. Legislative Update: John O’Connor reminded the members Legislative Day is Wednesday March 19th, 2014 with hotel accommodations at the Candlewood Suites in Tallahassee - see State BOAF website for details. John O’Connor is monitoring 30 bills, more or less, from the FL Senate website, and is posting results on the State BOAF website. There is a bill to have applicants for pool permits apply for an operator’s license with the Health Department before they apply for a building permit, and to make sure it is approved before the C/O is granted. 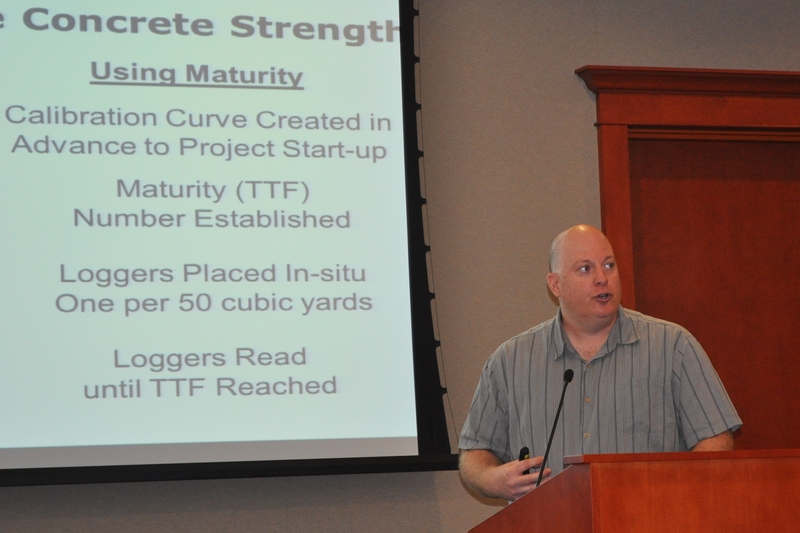 George Wiggins is tracking a bill on geotechnical testing for sinkholes. Another bill has provisions for allowing the FBC to make interpretations on the Accessibility Code. BOAF Board of Directors: The 2014 BOAF 62nd Annual Educational Conference & Trade Expo is at the Clearwater Hilton Beach Resort June 7-12. Details are on the State BOAF website. The Board of Directors sent out a letter outlining three options for the Chapter investments in online training: 1). Return the investments without interest, and the State BOAF could continue to develop training. 2). Continue the partnership. 3). Return the investments with interest, but then the State BOAF would not have enough capital to develop new programs. Ralph Jones made motion that the Chapter take Option 1, John Jackson seconded, and the membership voted unanimously to approve. New Business: Alan Plante made a motion that the Chapter authorize Phil McMahan spend up to $100 to repair the barbeque grill for the picnic. Dean Hall seconded, and the membership voted unanimously to approve. Invocation and Pledge of Allegiance: President Roy Eden called the meeting to order at 9:10 am. Alice Liles gave the invocation and led the membership in the Pledge of Allegiance. Twenty four attendees present. President Roy Eden called the business meeting to order at 10:30 am. Twenty one members present, including Gary Folsom, who was Chapter President from 1990-91, and to whom President Roy Eden gave his President’s pin. Treasurer’s report: Dale Baker presented the February 2014 Treasurer’s report. Dan Florian made a motion to accept the treasurer’s report, which Alan Plante seconded. The membership unanimously approved. Minutes: Mike Rickabaugh made a motion to accept the February 2014 Minutes. Dave Aldrich seconded and the membership unanimously approved. Scholarship: Ralph Jones, as head of the CF BOAF Scholarship Committee, recommended that two scholarships of $1000 each be awarded at the Annual Picnic to Shelby Britten, Mack McKinney’s granddaughter, and Chris Jackson, John Jackson’s son. Mike Rickabaugh made a motion to accept the recommendation, which Alan Plante seconded, and the membership unanimously approved. Education/Training: The BOAF site seminars are posted on the State website – the CF BOAF seminar at Lake Mary April 10-11 with 24 signed up to attend as of March 12. The Beach Chapter session was cancelled, so the Secretary will invite them to our session. Alice Liles has 7 sets of work books left from the Chapter of BOAF and ICC sponsored seminars on the 2012 ICC Special Use and Occupancy, the 2012 ICC Building Code, and the 2012 Existing Building Code for $15 for a set of three. (Allen Johnson has set up online payment to the Chapter on the website as of February 24). Richard Wheelus reminded the members of the IAEI Annual Florida Chapter Conference May 7-10 at The Shores Resort & Spa – Daytona Beach Fl. Golf Tournament: Dave Aldrich reported that the 2014 Golf Tournament will be December 5 at the Mount Dora Country Club and asked the members to begin collecting current names and phone numbers of good potential sponsors. Tom Allen volunteered to personally sponsor the breakfast before the Tournament, which was very appreciatively accepted by the Chapter. Nominating Committee: John Jackson thanked the Chapter again for their support for his candidacy for the open position on the State BOAF Board. Legislative Update: Alan Plante reminded the members Legislative Day is Wednesday March 19th, 2014 with hotel accommodations at the Candlewood Suites in Tallahassee - see State BOAF website for details. Alan Plante made a motion that the Chapter pay for President Roy Eden’s lodging for the trip to Tallahassee. Tom Allen mentioned the Chapter had done so in the past. Joe Crum seconded the motion, and the membership unanimously approved. Region IX: No report. Alan Plante did note his last meeting will be early May after 7 years of service on that Board. On behalf of the Chapter, President Roy Eden thanked him for this representation. BOAF: The 2014 BOAF 62nd Annual Educational Conference & Trade Expo is at the Clearwater Hilton Beach Resort June 7-12. Details are on the State BOAF website. Tom Allen reported there is a State Bylaws change pending, among others, to clarify the title and duties of the entry level position on the Board. New Business: For the Picnic, Dave Aldrich has purchased the prizes, ordered the plaques, and will see the Treasurer for reimbursement. Joe Crum will also see the Treasurer for reimbursement for food supplies. The Secretary was directed to invite Bob Boyer through the ICC Chapter website, per protocol. Karla Higgs can be called for assistance if necessary. Joe Crum made a motion that that Chapter reimburse Phil McMahan up to $150 for barbeque repairs and that Tom Allen take the check to him. Alan Plante seconded the motion, and the membership unanimously approved. Mike Rickabaugh asked if the Chapter was going to have a raffle at the Picnic for a community cause. After discussion, John Jackson made a motion that the Chapter spend up to $300 on a Kindle Fire to be raffled at the Picnic with the proceeds to be donated to the Wounded Warriors, Joe Crum amended the motion (accepted by John Jackson) that the Chapter also donate an additional $500, Tom Allen seconded the motion, and the membership unanimously approved. John Jackson thanked the Chapter again for their support for his candidacy for the open position on the State BOAF Board. Dean Hall asked for a motion for two scholarships of $300 each from the Chapter to sponsor two Board members to attend the State BOAF Conference in June. After discussion, during which Tom Allen noted that a number of other chapters do this, Joe Crum made the motion that two $300 scholarships for this purpose be offered first to the President and then go down the chairs. Alan Plante seconded the motion, and the membership unanimously approved. Two designs for new Chapter pins were passed around for the members to select by signing on the graphic. The results will be announced at the next meeting. President Roy Eden presided over the opening of the picnic. Approximately 103 members, family members, and friends were in attendance. Special thanks to Joe Crum for meat and other food purchases, Patty Crum for the cole slaw and potato salad, Tom Allen for providing grill transport and canopy for the cooks, Allen Johnson for the sound system, John O’Connor for the coolers, ice, and dry goods purchases, Dave Aldrich for the door prizes and plaques, Phil McMahan for margaritas and grill storage and repair, and Diana Rickabaugh, Carol Baker, and Lindsey Baker for raffle ticket and 50/50 ticket sales. Scholarship: Ralph Jones III presented the Bill Neese/Bill Tangye/Ralph W. Jones Jr. Memorial Scholarship. Ralph invited his mother to join in the presentation. Mrs. Jones (Anne) shared her thoughts on the scholarship being offered in honor of her late husband and others. Ralph announced that two scholarships of $1000 each had been approved by the membership and awarded to Shelby Ritten and Christopher Jackson. Due to other prior commitments, the recipients were not able to be present, so Shelby’s grandfather Mac McCormick accepted for her and Chris’ father John Jackson accepted for him. Chapter Awards: Roy Eden gave plaques to all Chapter officers for their service to the Chapter in the past year. President’s Award: Roy Eden presented Allen Johnson with the President’s Award for his dedicated work as Chapter Public Information Officer. Roy also commended Ralph Jones III for his nine years of service as State Chapter Director and Mike Rickabaugh for initiating the Wounded Warrior raffle the previous year. Roy also gave Dave Aldrich a gift certificate in appreciation for organizing the Golf Tournament and obtaining Picnic prizes. Following the oath of office, Bob Boyer presented Roy Eden with the ICC Past President’s pin and Dean Hall with the ICC President’s pin. Bob Boyer also presented Roy an ICC certificate and ICC Chapter President’s pin and Mike Rickabaugh an ICC certificate and ICC Chapter Past President’s pin. Past President Roy Eden presented newly elected President Dean Hall with the Chapter President’s pin. President Dean Hall presented Roy Eden with the Chapter Past President’s pin and the Chapter Building Official of the Year Award. Kindle Fire Raffle for Wounded Warriors: The raffle collected $435.00 for the Kindle Fire, which Adam Lilly won. After deducting the $214.00 cost of the device and adding the $500.00 contribution voted on last month, the Chapter’s contribution to the Wounded Warrior project is $721.00 this year. 50/50 – total amount collected $180.00 with $90.00 going to winner John Jackson and $90.00 to the Chapter. Set Up/Clean Up: Thanks to all who helped in setting up/cleaning up at the picnic - it was greatly appreciated. Invocation and Pledge of Allegiance: President Dean Hall called the meeting to order at 9:10 am. Alice Liles gave the invocation and led the membership in the Pledge of Allegiance. Twenty two attendees present. President Dean Hall called the business meeting to order at 10:25 am. Twenty two members present. Treasurer’s report: Dale Baker presented the March 2014 Treasurer’s report. Joe Crum made a motion to accept the treasurer’s report, which John Jackson seconded. The membership unanimously approved. Minutes: Joe Crum made a motion to accept the March 2014 Minutes. John Jackson seconded and the membership unanimously approved. Scholarship: Ralph Jones, as Chair of the CF BOAF Scholarship Committee requested checks disbursed after mailing addresses are secured for the two scholarship recipients, Shelby Ritten, Mac McKinney’s granddaughter, and Chris Jackson, John Jackson’s son. Education/Training: Alice Liles stated she needed another proctor and assistance at the April 10, 11 site seminars in Lake Mary. Dean Hall reported forty one individuals are registered. Tom Lilly and Dave Aldrich volunteered to help. The BOAF site seminars are posted on the State website. Golf Tournament: Dave Aldrich reported the members of the upcoming 2014 Golf Tournament on December 5 at the Mount Dora Country Club and asked the members to begin collecting current names and phone numbers of good potential sponsors. Nominating Committee: John Jackson made a motion for the chapter to send a letter of support for Bob Boyer for the position of Secretary Treasurer of ICC. Randy Lamb seconded and the membership unanimously approved. Joe Crum requested support from the chapter for the position of Part-time Executive Director of BOAF. John Jackson made a motion for the chapter to send a letter of support to the Linda Patrick. Richard Wheelus seconded and the membership unanimously approved. New Business: Dean asked for chapter members to nominate persons for Inspector of the Year, Plans Examiner of the Year and Building Official of the year for our local chapter. The Executive board will review submissions during the month of May. Awards will be presented August 2014. Alice Liles made the motion and Joe Crum seconded the motion and the membership unanimously approved. Alice Liles made a motion to honor Dan Florian with an Honorary Lifetime Membership in our local chapter. John Jackson seconded the motion and the membership unanimously approved. Alice Liles made a motion to send a Letter of Appreciation to the City of Maitland for use of the city facilities to conduct our chapter meetings for many years. Joe Crum amended the motion to present a plaque and a thank you letter to the City Manager to be presented by John Jackson. John Jackson seconded the motion and the membership unanimously approved. Invocation and Pledge of Allegiance: President Dean Hall called the meeting to order at 9:15 am. Allen Johnson gave the invocation and Dean Hall led the membership in the Pledge of Allegiance. Sixteen attendees present. Treasurer’s report: Dean Hall presented the April 2014 Treasurer’s report. John Jackson made a motion to accept the treasurer’s report, which Dave Aldrich seconded. The membership unanimously approved. Minutes: Roy Eden made a motion to accept the March 2014 Minutes. Dan Florian seconded and the membership unanimously approved. Scholarship: Ralph Jones, as Chair of the CF BOAF Scholarship Committee reported checks were disbursed for the two scholarship recipients, Shelby Ritten, Mac McKinney’s granddaughter, and Chris Jackson, John Jackson’s son. John thanked the association on behalf of his son. The scholarship committee suggested that we offer 6 scholarships at $650 each. Golf Tournament: Dave Aldrich reminded the members of the upcoming 2014 Golf Tournament on December 5 at the Mount Dora Country Club and asked the members to begin collecting current names and phone numbers of good potential sponsors. Nominating Committee: George Wiggins made a motion to support Ralph Jones FOR Region IX director. Allen Johnson seconded the motion and the membership unanimously approved. Dean Hall will follow up with a letter of recommendation from the chapter. Allen Johnson reported he voted to make the Executive Director of BOAF a full time position. The chapter was in full support of his vote. Dean Hall mentioned our chapter fully supports John Jackson for state board secretary. Legislative Update: Dean Hall stated he will ask John O’Connor to make available a summary of House Bill 7147.1.on the BOAF web site. Region IX: Alan Plante stated his director’s seat is up on the ICC board and offered it to the central Florida membership. The chapter voted to support Ralph Jones for the position. Florida Building Commission: Alan Plante reported the March 2015 will most likely be the effective date of the next edition of the Florida Building Code. New Business: Dale Baker mentioned the Greater Orlando Building Association facility may not be available for our next meeting in July. George Wiggins volunteered facilities owned by the City of Winter Park for future meetings. Dean asked for chapter members to nominate persons for Inspector of the Year, Plans Examiner of the Year and Building Official of the year for our local chapter. The Executive board will review submissions during the month of May. Awards will be presented August 2014. John Jackson will be presenting the City of Maitland with an appreciation plaque at their 7:00 pm meeting on June 23, 2014. Dean Hall mentioned the next Orange County Building Officials meeting will be June 18, 2014 at 12:30 pm. Location to be determined. Dean Hall suggested the chapter furnish its own garbage bags to fully clean up free meeting spaces. The Central Florida BOAF chapter will not be meeting during the month of June. President Dean Hall called the education portion meeting to order at 9:15 am. Fifteen members were present. Invocation and Pledge of Allegiance: President Dean Hall called the business meeting to order at 10:40 am. Allen Johnson gave the invocation and led the membership in the Pledge of Allegiance. Fifteen attendees present. President Dean Hall handed out our new chapter pins to the members in attendance and thanked Joe Crum for his work in creating the pins. Dean also mentioned we will be presenting our chapter awards at our August meeting for Inspector of the Year, Plan Reviewer of the Year, Member of the Year and a Meritorious Service Award. Minutes: George Wiggins made a motion to accept the May 2014 Minutes. Allen Johnson seconded and the membership unanimously approved. There were no June meeting minutes as the June meeting was cancelled due to the state conference. Education/Training: Dean Hall mentioned our chapter will be providing the five core hours to the membership to help with increasing membership, attendance and enrollment. The five hours of core CEU credits includes; Laws and Rules, Ethics and and Accessibility. The two hour CEU classes will begin at 8:00 AM. Golf Tournament: Dave Aldrich reported the members of the upcoming 2014 Golf Tournament on December 5 at the Mount Dora Country Club and asked the members to begin collecting current names and phone numbers of good potential sponsors. Dave begin providing forms to deliver to any potential sponsors or attendees. Nominating Committee: Open discussion was had concerning the filling Alan Plante position on the ICC Board of Directors. Ralph Jones confirmed he is currently pursuing the position after being supported by a vote of the chapter. The Chapter congratulated Alice Liles for being given the Meritorious Award for the State. The Chapter also congratulated John Jackson for being selected to the BOAF Executive Committee as Secretary/Treasurer. BOAF: *****Allen Johnson reported some great statistics from the BOAF state conference in Clearwater. There were 194 registered attendees, 25 companion programs, 25 vendors and exhibitors, 389 total attendees, 69 Permit Technicians attended, 18 Certified Floodplain Managers, and 715 Hotel Room Nights. 60 Classes were given to the attendees. A 65K profit was made by the association which is twice as much as last year’s conference. Allen Johnson also reported applications for the Executive Director were low. Next Board of Directors meeting will be September 5, 2014. Open discussion was held concerning a new fee schedule for memberships to increase enrollments as Building Official could be $50 and all others would be $10. New Business: Dean Hall thanked George Wiggins and Kris Stenger for use of Winter Park’s facilities for our chapter meetings. Dean asked for chapter members to nominate persons for Inspector of the Year, Plans Examiner of the Year and Meritorious Service for our local chapter. Awards will be presented August 2014. Next Chapter Meeting is Wednesday, August 13, 2014. Meetings will be held at City of Winter Park Welcome Center. Located at 151 West Lyman Avenue, Winter Park, FL 32789. President Dean Hall called the education portion of the meeting to order at 9:10 am. Twenty eight members were present. Invocation and Pledge of Allegiance: President Dean Hall called the business meeting to order at 10:35 am. Allen Johnson gave the invocation and led the membership in the Pledge of Allegiance. Seventeen attendees were present for the business meeting. Chapter Awards: President Dean Hall presented the Chapter Awards to Ed Conkol for Inspector of the Year,Jeff Dunn, Plan Reviewer of the Year, Dave Aldrich, Member of the Year and a Meritorious Service Award toJoe Crum. Treasurer’s report: Tom Dalton presented the July 2014 Treasurer’s report. Allen Johnson made a motion to accept the treasurer’s report, which Dave Aldrich seconded. The membership unanimously approved. Annual Expense Budget: Dale Baker presented a 2014-15 Proposed Chapter Operating expenses to the membership. A $500 Pay It Forward was added to the proposed expenses. Bob McCormick made a motion to accept the expenses, which Ralph Jones seconded. The membership unanimously approved. Minutes: Joe Crum made a motion to accept the July 2014 Minutes. Randy Lamb seconded and the membership unanimously approved. Education/Training: Dean Hall mentioned our chapter will be providing the five core hours to the membership to help with increasing membership, attendance and enrollment. The five hours of core CEU credits include; Laws and Rules, Ethics and Accessibility. The two hour CEU classes will begin at 8:00 AM. Richard Wheelus notified the membership the IAEI will offer an 8 hour NEC update class and will be taught by Mark Ode on November 15, 2014. NOTE: No charge for members and a $5.00 charge for non-members. Golf Tournament: Dave Aldrich reported to the members about the upcoming 2014 Golf Tournament on December 5 at the Mount Dora Country Club. He asked the members to begin collecting current names and phone numbers of good potential sponsors. Also the preferred contact method is to use Email addresses. Sign up forms were provided and being delivered to any potential sponsors or attendees. Nominating Committee: Ralph Jones confirmed he was no longer pursuing an ICC Region IX board position vacated by Alan Plante. Joe Crum asked the membership to support him for the board position. A motion was made by Allen Johnson to support Joe Crum. The membership unanimously approved. BCAIB Board: Board Chairman Bob McCormick reportedthe Building Code Administrators and Inspectors Board Meeting was held on August 6-8, 2014 at the Crown Plaza, 200 East Gregory St. Pensacola, Florida. Bob reported they processed 129 applicants with a 70% license approval rate. Open discussion was had concerning the South Florida area having larger numbers of applicants and overall statewide not as many entry level applicants. BOAF: Allen Johnson also reported applications for the Executive Director were low and interviews will begin soon. Next Board of Directors meeting will be September 5, 2014 in Sarasota, Florida. New Business: Dean Hall asked the membership for extra help with our chapter photography as the need arises. Next Chapter Meeting is Wednesday, September 10, 2014. Meetings will be held at City of Winter Park Welcome Center. 151 West Lyman Avenue, Winter Park, FL 32789. President Dean Hall called the education portion of the meeting to order at 9:15 am. Sixteen attendees were present. Invocation and Pledge of Allegiance: President Dean Hall called the business meeting to order at 10:45 am. Dale Baker gave the invocation and led the membership in the Pledge of Allegiance. Fourteen attendees were present for the business meeting. Treasurer’s report: Tom Dalton presented the August 2014 Treasurer’s report. Dave Aldrich made a motion to accept the treasurer’s report, which Joe Crum seconded. The membership unanimously approved. Minutes: Kris Stenger made a modification to the minutes to reflect location of the core classes to be held at the Winter Park Community Center. Dan Florian made a motion to accept the August 2014 Minutes. Bob McCormick seconded and the membership unanimously approved. Legislative Update: John Jackson reported there will be no more binding interpretations from BOAF due to Sunshine Law issues. BOAF may continue to issue non-binding interpretations. BOAF: John thanked the membership for the condolences of his father. John Jackson gave a report from the Board of Directors meeting held on September 5, 2014 in Sarasota, Florida. John reported the board is looking at relocating the BOAF main office to a less expensive and smaller office space. John reported a new BOAF Executive Director has been hired named Bart Ansley with a salary of 72K annually and a 20% annual bonus based on revenues exceeding 76K annually. John reported the new director has a background in association management and is not a licensed or certified inspector. He also reported Bart first order of business is to visit all chapters. John Jackson reported BOAF’s secretary/bookkeeper Celeste is currently monitoring the Cross Training Program. John reported any expired ICC certifications are no longer valid. State of Florida license renewal is not an ICC Certification renewal. CEU’s and renewal fees must be separately reported and paid to ICC for continued future certification with that association. ICC certification category renewals are not required for State of Florida license renewals. New Business: Bob McCormick stated he was somewhat skeptical and had concerns about the status of the Approved Cross Training Program and BOAF’s overall directions where the BCAIB Board past agreements with BOAF are related. 50/50 winner – $5 to Bob McCormick. Bob donated his winnings back to the scholarship fund. Next Chapter Meeting is Wednesday, October 8, 2014. Meetings will be held at City of Winter Park Welcome Center. 151 West Lyman Avenue, Winter Park, FL 32789. President Dean Hall called the Education portion of the meeting to order at 9:10 am. Thirty nine attendees were present. The Executive Board presented thank you gifts from the Wounded Warrior Project to Mike Rickabaugh for his contributions and dedication to helping the organizations. Invocation and Pledge of Allegiance: President Dean Hall called the business meeting to order at 10:15 am. Allen Johnson gave the invocation and led the membership in the Pledge of Allegiance. Nineteen attendees were present for the business meeting. Treasurer’s report: Tom Dalton presented the August 2014 Treasurer’s report. Joe Crum made a motion to accept the treasurer’s report, which Dave Aldrich seconded. The membership unanimously approved. Minutes: Dean Hall presented the meeting minutes. Dave Aldrich made a motion to accept the September’s meeting minutes. John Jackson seconded and the membership unanimously approved. Education/Training: Dean Hall mentioned our chapter will be providing the five core hours to the membership to help with increasing membership, attendance and enrollment. The five hours of core CEU credits include; Laws and Rules, Ethics and Accessibility. The two hour CEU classes will begin at 8:00 AM. The BOAF site seminar will take place October 30, 31, 2014. ICC is scheduled to present the free training day on November 5, 2015. The six hour training will be on the International Existing Building Code and the Fuel Gas Code. IAEI will offer an 8 hour NEC update class and will be taught by Mark Ode on November 15, 2014. Golf Tournament: Dave Aldrich reported to the members about the upcoming 2014 Golf Tournament on December 5 at the Mount Dora Country Club. He stated we have some great sponsors committed to help. He also mentioned any checks written for the tournament will be cashed in December. He asked the members to begin collecting current names and phone numbers of good potential sponsors and participants. Also the preferred contact method is to use Email addresses. Sign up forms were provided and being delivered to any potential sponsors or attendees at the chapter meeting. BCAIB Board: Bob McCormick reported the next BCAIB meeting will be held October 22-24 in Gainesville, Florida. On behalf of the board, Bob asked Alan Plante and John Jackson to please ensure the BOAF cross training program is continuing to follow the same criteria it was created under and to actively monitoring the correct protocols and training. Alan stated the cross training program had experienced a backlog but now is caught up. ICC: The ICC Annual Conference was held September 28 through October 5, 2014 at the Greater Fort Lauderdale County Convention Center. The Building Officials Association of Florida, Inc. was proud to be the 2014 Host Chapter for the International Code Council's Annual Conference in Ft. Lauderdale. BOAF: John Jackson reported that Bart Ansley will no longer be assuming the position of Executive Director for BOAF due to health reasons. He stated the second place candidate will now be offered the position. Joe Crum discussed adding additional funds to support the “pay it forward” program for host chapters. Bob McCormick made a motion to increase the contribution from $500 to $1000. Alan Plante seconded the motion. The membership unanimously approved. John Jackson reported that Tom Allen was hired by ICC to fill Phil McMahan’s position. John also reported state board member Ken Locke has accepted a position at Reedy Creek Improvement District. Any expired ICC certifications are no longer valid. State of Florida license renewal is not an ICC Certification renewal. CEU’s and renewal fees must be separately reported and paid to ICC for continued future certifications with that association. ICC certification category renewals are not required for State of Florida license renewals. New Business: John Jackson made a motion to donate $100 to Azalea United Methodist Church, Audio/Visual Fund in the name of Avens Farrell Liles. Avens, 79, passed away on September 24, 2014. Chapter members extend their condolences and prayers to the family of Avens Liles. Avens and Alice have been regulars at our chapter training events for several years assisting with registrations, sign-ins, and proctoring on class days. Joe Crum seconded the motions. The membership unanimously approved. President Dean Hall will be inviting Gary Brevoort and the executive director to the December 10, 2014 Membership Appreciation Breakfast. Next Chapter Meeting is Wednesday, November 12, 2014. This special class training Laws and Rules CEU will begin at 8AM and will be held at the City of Winter Park Community Center. 721 W New England Avenue, Winter Park, FL 32789. No preregistration necessary for this class but don't be late. Attendees must be there from the beginning to get credit. President Dean Hall called the Education portion of the meeting to order at 8:00 am. Forty-two attendees were present. Invocation and Pledge of Allegiance: President Dean Hall called the business meeting to order at 10:15 am. Alice Liles gave the invocation and led the membership in the Pledge of Allegiance. Nineteen attendees were present for the business meeting. President Dean Hall recognized special guest Adrianna Sekula, Governmental Affairs Director with the Greater Orlando Builders Association. Treasurer’s report: Tom Dalton presented the September 2014 Treasurer’s report. Dan Florian made a motion to accept the treasurer’s report, which John Jackson seconded. The membership unanimously approved. Minutes: Dean Hall presented the meeting minutes. Dan Florian made a motion to accept the September’s meeting minutes. Joe Crum seconded and the membership unanimously approved. Education/Training: Cindy Nielsen reported on the Nov. 5th ICC free training days. 15 people attended the Fuel Gas class and 16 people attended the Existing Building Code Class. It was an informative class. The six hour training was on the International Existing Building Code and the Fuel Gas Code. Cindy mentioned our chapter will continue to provide the remainder of the five core hours to the membership to help with increasing membership, attendance and enrollment. The five hours of core CEU credits include; Laws and Rules, Ethics and Accessibility. Accessibility class CEU will be offered free to chapter members at the January meeting. (WELCOME CENTER LOBBY) 9AM CATERED BY KEKE’S BREAKFAST, EGGS, BACON, SAUSAGE, PANCAKES ECT. January: Accessibility (meeting at Community Center) The second Wednesday. Golf Tournament: Dave Aldrich reported to the members about the upcoming 2014 Golf Tournament on December 5 at the Mount Dora Country Club. He stated we have some great sponsors committed to help however the cutoff date would be the Friday after this meeting. Sign up has recently been low. The caterer is only supplying a certain number of meals so persons are encouraged to pre-register. He also mentioned any checks written for the tournament will be cashed the second week in December. He asked the members to begin collecting current names and phone numbers of good potential sponsors and participants. Also the preferred contact method is to use his Email address in Sanford. Sign up forms were provided and being delivered to any potential sponsors or attendees at the chapter meeting. Dean asked Andrea Sekula to please pass the golf tournament information on to GOBA. Legislative Update: John Jackson earlier reported there will be no more binding interpretations from BOAF due to Sunshine Law issues. BOAF may continue to issue non-binding interpretations. BCAIB Board: Allen Johnson mentioned the next scheduled BCAIB meeting will be held December 10-12 in Orlando at the Floridays Resort. The chapter membership was encouraged to attend the BCAIB board information of how the board operates. Region IX: Joe Crum gave the report on Region IX activities. There was no meeting this past month and nothing new to report. Joe mentioned he had the opportunity to meet the new executive director Ann Russo and stated she will represent the association well. Please submit any questions on the Region IX board to Joe Crum. Joe stated himself, John Jackson and Allen Johnson will be glad to present anything the chapter has concerns about to the state boards. Region IX has a new web address is www.iccgulfcoastregionix.com. ICC: Tom Allen was in attendance and is now employed by ICC as Regional Manager Florida, Georgia Government Relations. Tom stated he has relayed to ICC the Central Florida chapter of BOAF is the backbone of local help for ICC. Dale Baker announced the chapter is pleased that Tom is now in that position. Open discussion was had concerning relocating ICC’s office out of BOAF’s main office in Lake Mary. Allen Johnson recommended keeping the ICC office within BOAF for convenience and consistency. Tom mentioned the effective date of the new FBC is looking more like June 30, 2015. The 2011 NEC will be the applicable electrical code. BOAF: John Jackson reported Ann Russo has started work within the BOAF office. The membership unanimously approved. John also reported state board member Ken Locke has accepted a position at Reedy Creek Improvement District but has now resigned as Vice President of BOAF. John Jackson’s current position has been changed to Secretary/ Treasurer. John mentioned that Ann Russo has asked that BOAF hold off on moving from the Lake Mary office until more research is done. New Business: Alan Plante made a motion for a purchase up to $500 for a Kindle Fire to be given away at a raffle during the annual picnic. John Jackson seconded and the membership unanimously approved. President Dean Hall will be inviting Gary Brevoort and the new executive director to the December 10, 2014 Membership Appreciation Breakfast. The next GOBA meeting luncheon will be Dec 17th at 11:45 am. Frank Carter mentioned he felt the Central Florida Chapter is like a racecar and is very active and wanted to commend the board and members for their commitment. Allen Johnson mentioned he will try to develop an internship for building department staff within his city. Tom Allen mentioned ICC does have a high school program for inspectors. John Jackson mentioned you still can’t get a state license just with the training. He suggested focusing on the trades persons for future employees. 50/50: TonyApfelbeck won the drawing and donated all $23 back to the chapter. Next Chapter Meeting will be the Members Appreciation Breakfast Wednesday, December 10, 2014. Winter Park Welcome Center 9am. Located at 151 West Lyman Avenue, Winter Park, FL 32789. Please join us for a holiday gathering and an opportunity to share experiences of the past year.